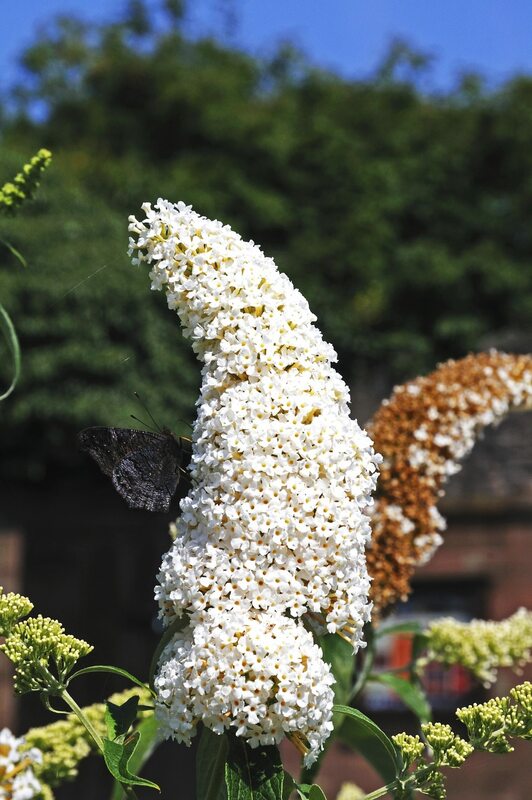 We see them from about the middle of summer throughout fall — the arching stems of the butterfly bush plant filled with cone-shaped flower clusters. These beautiful plants not only attract our attention with their eye-catching colors, from purple and pink to white and even orange, but they are notorious for attracting butterflies to the garden as well, hence its name — butterfly bush. While their care if fairly simple, transplanting a butterfly bush requires a bit of know how to ensure its success. Transplanting a butterfly bush requires some preparation of the new location. Butterfly bushes prefer moist, well-drained soil in partial to full sun. For best results, amend the soil with compost prior to planting. After transplanting, there is little in the way of maintenance for butterfly bushes’ care. 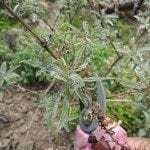 Transplanting is much the same as for any other shrub or small tree. Gently dig the butterfly bush plant up from its current location. When transplanting a butterfly bush, carefully dig up as much of the root system as possible and move to its new location for replanting. Lift the plant, roots and soil from the ground and move it to the prepared hole in the new location. Backfill the hole around the root ball. Tamp down the soil to make sure that no air pockets are in the soil. Once in the ground, the plant should be watered frequently until the roots have had time to take hold. When they do, the butterfly bush plant won’t require as much watering, growing to become quite drought-tolerant. Since it blooms on new growth, you should prune the butterfly bush plant back to the ground during its dormancy in winter. Alternatively, you can wait until early spring. Pruning will help to encourage new growth. 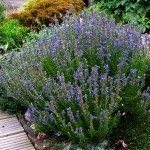 When Can You Transplant Butterfly Bushes? Butterfly bushes are quite hardy and can transplant easily. Transplanting a butterfly bush is usually accomplished in either spring or fall. Transplant prior to new growth in spring or once its foliage has died down in the fall. Keep in mind that the region in which you live typically dictates when you can transplant. For instance, spring is a more suitable time for transplanting a butterfly bush in colder regions while in warmer areas of the south, transplanting a butterfly bush is best done in fall. Butterfly bushes are great plants to have in the garden. Once established, the butterfly bush plant pretty much takes care of itself, other than the occasional watering and pruning. They make exceptional additions to the landscape and attract a variety of butterflies as well, which is also good for pollination.